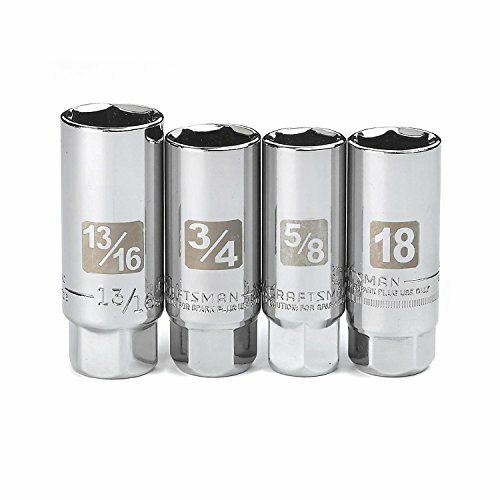 The Craftsman 4 piece spark plug socket set features the following sizes: 5/8, 3/4, 13/16 inch and 18mm. Each one has 6 contact points, is high quality and versatile. From servicing lawn mowers to weed whackers to vehicles, this spark plug socket set covers all of your bases. Once you have these tools in your tool box, you'll find yourself using them so frequently that you won't know what you did without them.